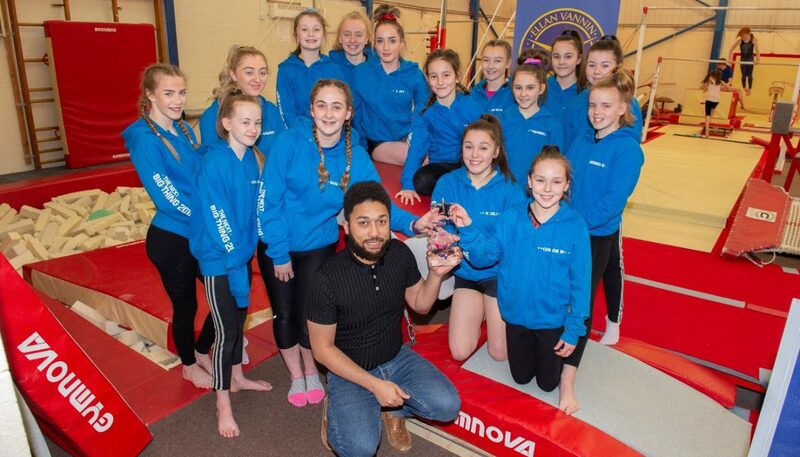 The Ellan Vannin Gymnastics Club group’s performance, which fused contemporary dance with breath-taking acrobatic displays, won them the most votes from the Gaiety Theatre audience out of the 13 acts which competed on February 9 in the grand final of the Next Big Thing 2019, the talent contest for 10 to 18-year-olds organised by Manx charity Junior Achievement. Sponsored for the second year in succession by Lloyds Bank International, the People’s Choice Award is in memory of the late Soundcheck youth worker Paul Cooper, one of the Next Big Thing’s earliest and most ardent supporters. Junior Achievement’s chief executive Sue Cook said: ‘Asteria gave a stand-out performance, thrilling the audience with their technically ambitious and faultless routine. They’re not only worthy People’s Choice winners but also epitomise what the Next Big Thing is all about, and that is to give young artists the opportunity to showcase their talent and illustrate the wealth of truly gifted young performers we have in the Isle of Man. Applications for The Next Big Thing 2020 will open in August 2019. To find out more follow thenextbigthingisleofman on Facebook or visit thenextbigthing.im. Junior Achievement is an educational charity that each academic year runs classroom-based programmes to help more than 5,500 students in the Isle of Man make the connection between school and the world of work, enabling them to develop the knowledge and attitudes they will need to succeed in an increasingly competitive global jobs market. To find out more visit jaiom.im.